Whether you're a CMS newbie or a well-seasoned pro, there are always ways to boost efficiency. And you know what means, more time for fun and games! When logged into the CMS, simply press ? 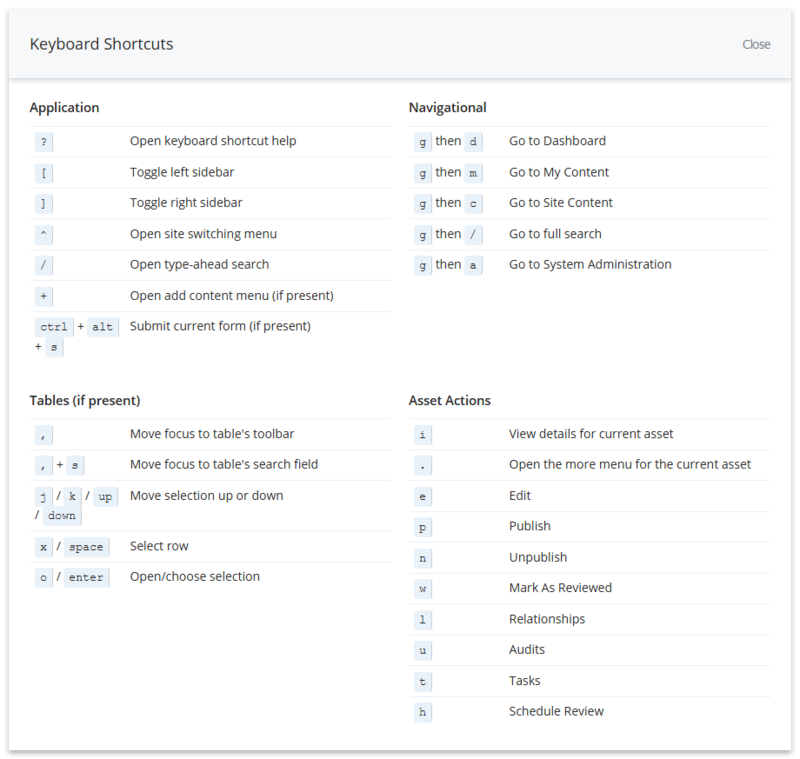 to bring up a list of keyword shortcuts to make working in the CMS quicker and more efficient. Sometimes your pages can get pretty complex. To make the edit interface easier to work in, collapse the areas you aren't working in by clicking on the section headings. 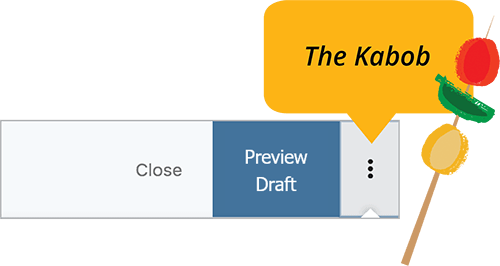 During the save process, sometimes you want to quickly edit a page without having to preview your draft before you submit (because you don't make mistakes!) Instead of clicking Save & Preview, click on the kabob menu ⋮ then Submit. Right-click on any asset in the asset tree or in the workspace to bring up a quick menu with a list of actions. Everything you need is right there! 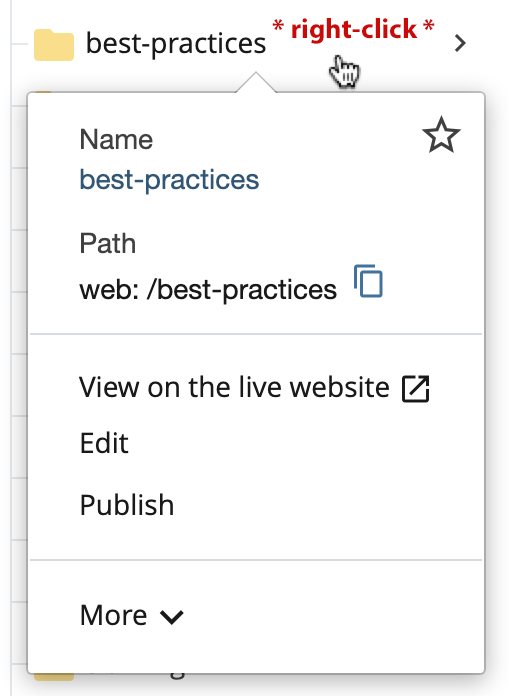 You can visit the live (published) version of a page or file by clicking ••• More > Live in the Action Toolbar. A new browser tab will open with the live version in full display. If your site has not launched yet, you'll see the version on the staging server. CMS websites are responsive (i.e., mobile-friendly) so the presentation of a website will change depending on factors such as display size and device type. To see this in action, visit a site on your desktop and manually resize your browser to see how the layout changes. 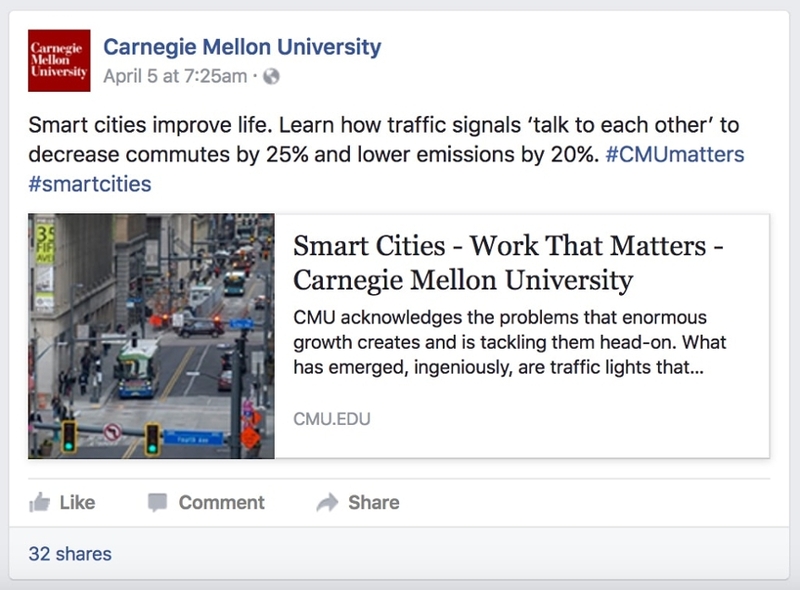 When creating a new page, you can use a different social media image than the default image specified in the Setup Block. For the Social Media Image field simply Choose File. Note: If Facebook isn't displaying the image, use Facebook's Debugger to clear their cache. While building and editing your pages, you'll be adding, removing, and rearranging components to get page layout just right. Use the controls provided on section labels. When editing a page with a lot of content, it can be difficult to find the section you need to update. Use your browser's Find function to search for a specific word or phrase. Press Command+F (Mac) Ctrl+F (Windows), then type a word or phrase to help you find the section you need. Can you tell we are pet people?